Use the smartphones of your guests and get multimedia. Provide your guests with current and locationdependant information via Wi-Fi. LOOP21 supports the digital customer communication and -loyality. With LOOP21 you receive valuable data which make it possible to analyze statistical data about your customers for strategic planning. The LOOP21 system connects the region and her guests, the local economy as well as the operator and creates perfect holiday experiences. 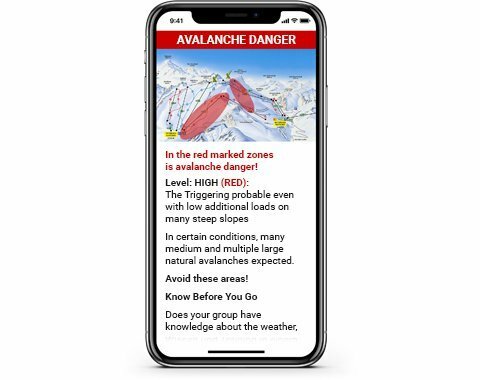 The LOOP21 Module Emergency gives you the opportunity to bring urgent information directly to the connected devices: closed slopes, avalanche danger and more. Real-time information on the guest’s smartphone via Wi-Fi. Your guests choose the next song. The music playlist is controlled by the guest via the Wi-Fi landing page. In addition, the guest receives information such as the menu on the landing page. 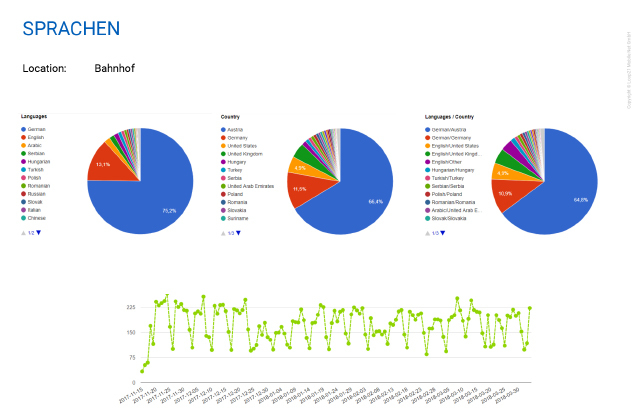 Central management by the operator via web interface. The LOOP21 SOUNDBOX plays predefined audio-files, depending on location, time or season. 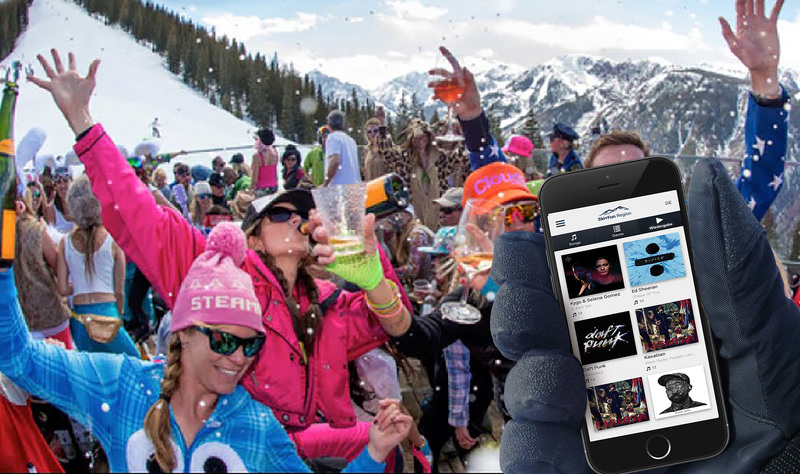 Create playlists for different occasions like theme parties, to happy hours, season events or fulfill music wishes. With the LOOP21 Soundbox your hut becomes the number one party location. Explore with LOOPIE how to use the LOOP21 system in the ski area. Just click on the green areas and you will get information about the areas of application. Guest-Wi-Fi in every cabin over the entire route. 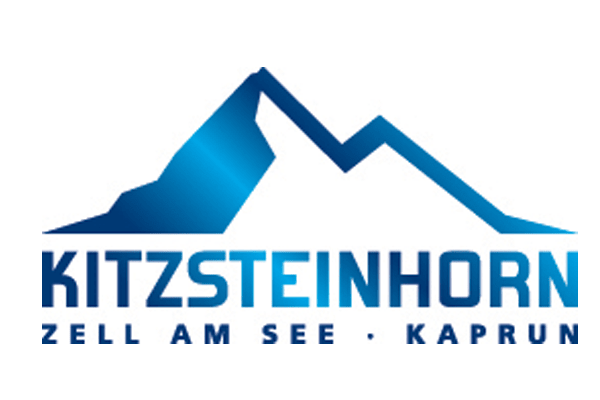 Restaurant menu, slope information and avalanche or technical alerts. 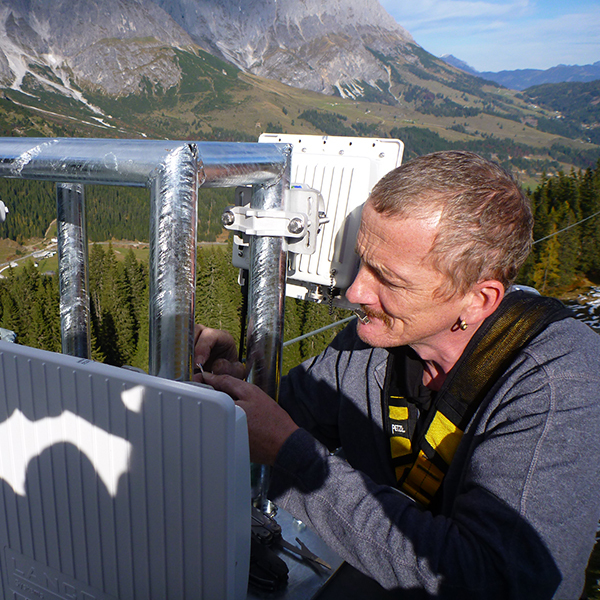 Public-Wi-Fi, installation of powerful access points throughout the ski resort, adjustable bandwidth per user, expandable at any time. Soundbox - audio entertainment in the gondola. Music program selectable by the guest or content preset by the operator. 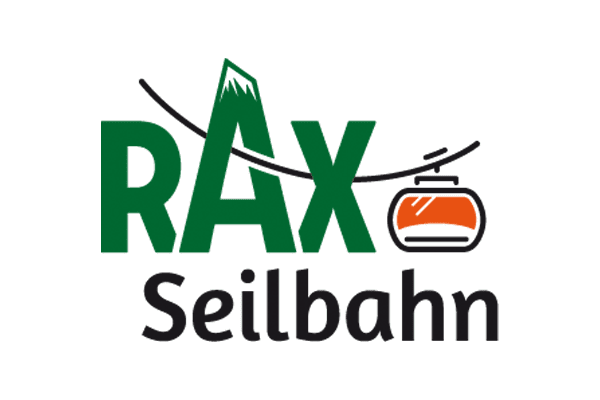 Already in 2011 the mountain railways in Soelden, which is one of the most known skiing area in the Austrian Alps started to provide Wi-Fi. Soelden is one of the most famous skiing regions in the Alps. There are not less than 148 km of slopes and ski lifts and cable cars with a total capacity of 70,000 persons per hour. 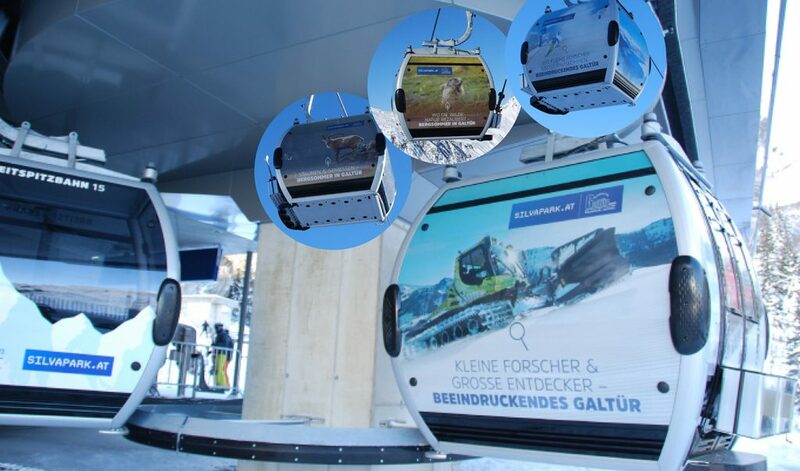 As a world sensation LOOP21 equipped 2 cable cars and direct surroundings with a locationbased information system via Wi-Fi as the first worldwide. So that means that the guests can connect to the Wi-Fi with their own smartphones, tablets and laptops. LOOP21 Mountainment system is straightened of the needs and wishes of skiing regions and also on the guests expectations. 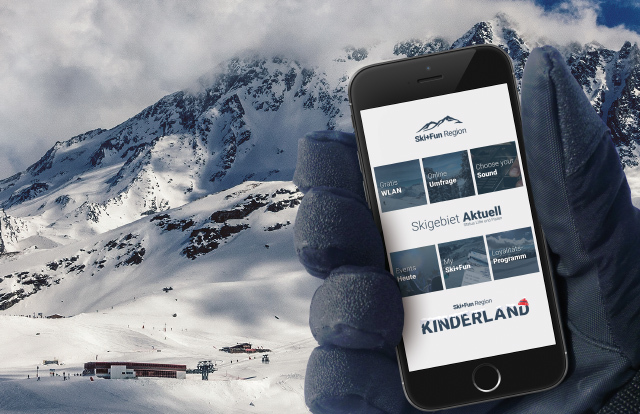 In the first run 2011, the statistics were so convincing that Soelden and LOOP21 decided to extend its offer to 5 more locations, where the Landing Page with location-based services and the Internet access are available. On this Landing Page LOOP21 put the most useful and relevant information for the users. For example weather reports, a list of open slopes & lifts and the latest news about Après ski events. The contents and the design are individually prepared for every client. They are up-to-date and can be adapted any time without waiting times as we know it from static applications. 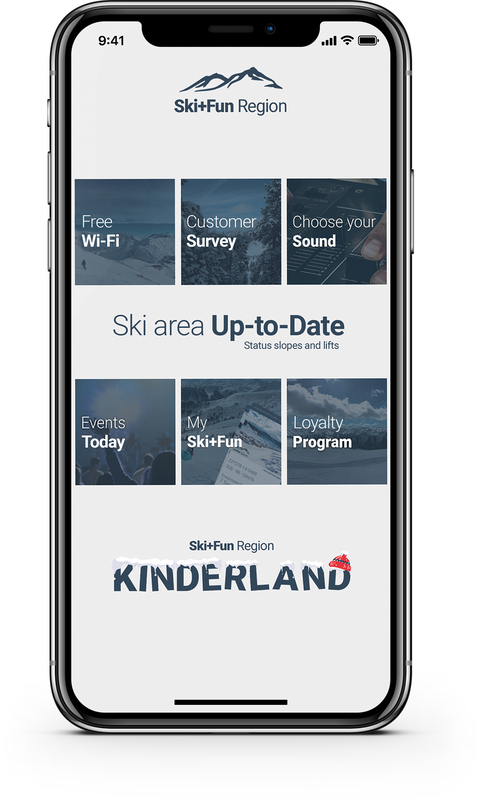 The second big difference to mobile apps is that the LOOP21 Mountainment system delivers information depending on the guest’s location. 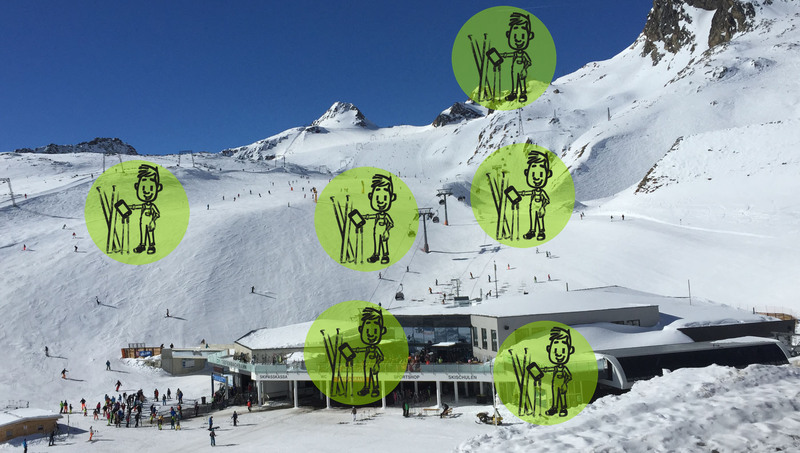 The visitor for example gets different information on the top of the mountain as in the central hotel. 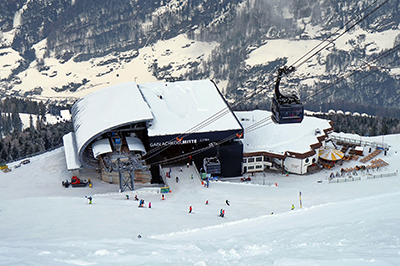 After the second successful run in 2012 LOOP21 and the skiing resort decided to upgrade up to 14 hotspot areas. That shows how LOOP21 and Soelden are improving the system continuously. Systems in use: Wi-Fi Hardware, LOOP21 HOTSPOT Software, LOOP21 Technology Package, Internet Login and AAA-System, LBS (Location-based Service in 14 areas), CMS, Statistics, Storage of the traffic data, 1st & 2nd Level Support & operation.